At Murphy’s Plumbing you can count on us for all your plumbing needs. We are a full service plumbing company serving families, builders, and businesses in the Rogue Valley since 1976! Trusted in the Rogue Valley for over 35 years, we provide excellent service with quality workmanship and competitive pricing. Our technicians are known to be clean, friendly, courteous, and professional. Our trucks are fully stocked with a variety of inventory. Listed below are just some (not all) of the many plumbing services that we provide. We look forward to having the opportunity to serve you, for when it comes to plumbing, We Do It All! We repair leaks, loose and leaky fittings, and broken or burst pipes whether they are in the ground, under the house, in a wall or attic, or under a slab. Need new plumbing under a sink, an outside hose bib repaired or replaced, or perhaps the washing machine needs new stainless steel supply hoses? Whether it’s the plumbing for the main water line, a bathtub or shower, sink or the washing machine we offer comprehensive plumbing repair, maintenance and service. Give us a call today at 541-476-1974 Grants Pass or 541-582-2807 Rogue River to schedule an appointment! From emergency repairs to leaky faucets to upgrading fixtures in your kitchen, laundry, or bathrooms, we have the expertise to be of assistance with whatever you need in regards to the fixtures in your home or business. 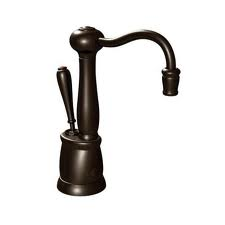 Is it time for a new faucet, kitchen or bathroom sink, laundry tray, toilet or bidet, cast iron tub, or are you in need of a new tub/shower or shower fiberglass unit? Whatever your style, whatever your need, we are here to help you select the right fixture for your project. Check out our links page for the various manufacturer’s links then give us a call at 541-476-1974 Grants Pass or 541-582-2807 Rogue River to have your questions answered and order your fixtures today! Noisy garbage disposal? Upgrade to a newer quieter model! 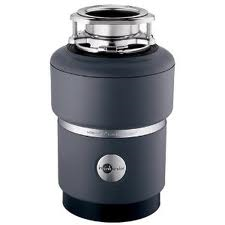 Having trouble with your garbage disposal or maybe it’s just time for a new one? We can assist with garbage disposal repairs with jammed or clogged disposals. Or we can offer replacements with a variety of styles to choose from. Check out our links page and click on our In-sink-erator link then give us a call at 541-476-1974 Grants Pass or 541-582-2807 Rogue River for an estimate! There is nothing quite as convenient as an instant hot water dispenser at the kitchen sink! No more need to microwave your water. 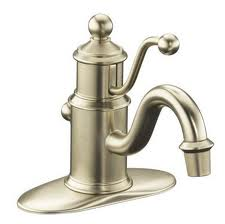 With the touch of a lever or the twist of a knob, you can fill your cup with hot water to make your favorite hot beverage such as tea, coffee, or hot chocolate; or perhaps you’re in the mood for a cup of instant soup, noodles, or oatmeal. Whatever your desire, enjoy the ease & convenience of an instant hot water dispenser. You’ll be so spoiled, you’ll never want to go without one again! Check out our links page and click on our In-sink-erator link then give us a call at 541-476-1974 Grants Pass or 541-582-2807 Rogue River for an estimate! Here in the Rogue Valley there are a lot of older homes with galvanized pipes. Galvanized pipes age and break down over time, often causing lack of good water flow and pressure in the home. 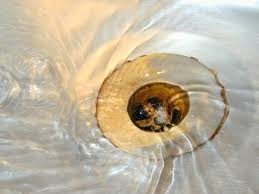 Debris from the aging pipes can also cause damage to the valves and faucets in your home. Own a mobile home? Polybutylene pipes are often still found in mobile homes even though it was recalled through a class action law suit years ago. 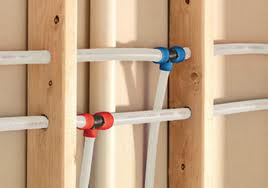 If you find yourself in a property with sub-standard plumbing, consider having your home, business, or mobile re-plumbed with PEX piping. It is more able to expand and contract when the temperature changes and is less likely to burst in freezing temperatures. An important consideration in the Rogue Valley! 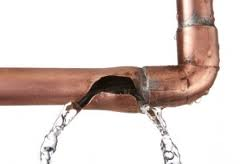 Give us a call today at 541-476-1974 Grants Pass or 541-582-2807 Rogue River for an estimate to re-pipe your home! 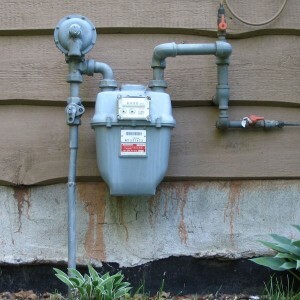 We offer gas line installation, service, relocation, and replacement. Dreaming of curling up with a good book in front of a new gas fireplace? Excited to prepare meals for your family at a new gas range? Desire to save energy with a tankless gas water heater or a new tank style that is more efficient than your present model? Or looking forward to entertaining friends and family at an outdoor bbq grill? Do your remodeling plans call for a relocation of existing gas lines? Whatever your gas line dreams and needs are, we can help! Whether you need a new gas line relocated or run for a range, fireplace, furnace, water heater or a stub out for a future bbq on the patio, give us a call today at 541-476-1974 Grants Pass or 541-582-2807 Rogue River for an estimate on your gas piping project! 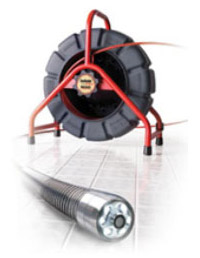 We offer a variety of services to solve your sewer & drain problems. Whether your shower or sink is slow in draining, a toilet is overflowing, or the kitchen sink is backed up, we are experienced in clearing your drains of blockage to get your home or business flowing again. We can also replace corroded & substandard pipes or repair crushed, offset, collapsed, and broken pipes. From minor repairs to problems with grade to major replacements of drain lines, you can rely on us to help! Give us a call today at 541-476-1974 Grants Pass or 541-582-2807 Rogue River to make an appointment! Video cameras have become an extremely valuable tool in the plumbing industry allowing for a visual inspection of underground sewer lines enabling us to see the condition of your drain & sewer lines from the inside of the pipes. Video sewer cameras are commonly used during inspections before buying or selling a home or commercial building, or to determine whether a line needs to be repaired or replaced. Problems with grade, tree roots in the line, crushed, separated, damaged or punctured pipes can all be spotted with a sewer video inspection (sewer line needs to be cabled and cleared before camera is used). The camera has a radio transmitter to help locate where the sewer exits the building or to locate the problem area from the surface so repairs and replacements can be made more efficiently and with less digging. Video images can be recorded onto a video tape as well! City planning departments often require a video recording of the sewer drain line before signing off on remodel or addition projects. Thinking of buying a home or adding on to your current one? Drains backing up a bit too often? Give us a call today at 541-476-1974 Grants Pass or 541-582-2807 Rogue River to make an appointment for a sewer video inspection or locate today! 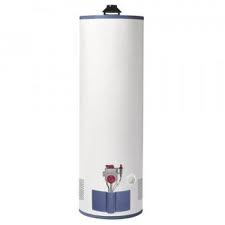 We diagnose and repair a wide variety of makes & models of water heaters, either gas or electric. Is your water heater old and outdated or full of sediment from well water and not operating to its full potential? Install a newer energy efficient water heater and enjoy the benefits. With rising costs of energy, heat pump water heaters are a great way to save money on your electric bill. Check out our links page for water heater manufacturer’s links then give us a call at 541-476-1974 Grants Pass or 541-582-2807 Rogue River for an estimate! Never run out of hot water again! For an endless supply of hot water to your home or business, we sell & install Rinnai natural gas or propane tankless water heaters. Save money on energy! Traditional hot water heaters are built to keep a supply of hot water at your disposal at all times. This means that your water heater continuously uses energy to warm water whether or not you need it. A tankless water heater, however, heats the water only when you ask for it, thus saving energy costs over the lifetime of the unit. 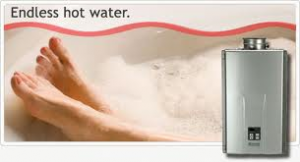 Rather than constantly warming the water, you begin heating the water when you turn on a hot faucet or an appliance. The energy consumed is only for heating the water that is needed at that specific time. For on demand water heaters for under sink applications we offer the Eemax brand. Check out our links page to learn more about Rinnai & Eemax tankless water heaters then give us a call at 541-476-1974 Grants Pass or 541-582-2807 Rogue River for an estimate! 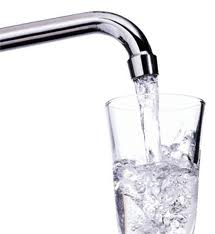 Concerned about safe drinking water? When it comes to your family’s health, pure clean water is a must! Too much sediment in your well water? Perhaps you need a whole house sediment filter. Or maybe you are in need of a reverse osmosis unit? Local concerns about the quality of our water were raised when the City of Grants Pass found traces of Chromium 6, a carcinogen, in our city water supply. Want to eliminate the risk and worry for your family or business? We recommend Eco-smarte water purity systems. Eco-smarte does it all! It eliminates chlorine, bacteria, chromium 6, e-coli (often a problem with well water) and other contaminants from the water. No salt, no chemicals, and very low maintenance. Eco-smarte is the best chemical reduction system for city water and the best multiple mineral technology for problem well water with complete bacteria and scale control (hard water). With a hot tub or swimming pool unit, you can eliminate the use of chlorine, bromine, and other chemicals. We even have units for ponds to make your goldfish happy! Check out our links page for more info. Give us a call today at 541-476-1974 Grants Pass or 541-582-2807 Rogue River to discuss your water purity needs!